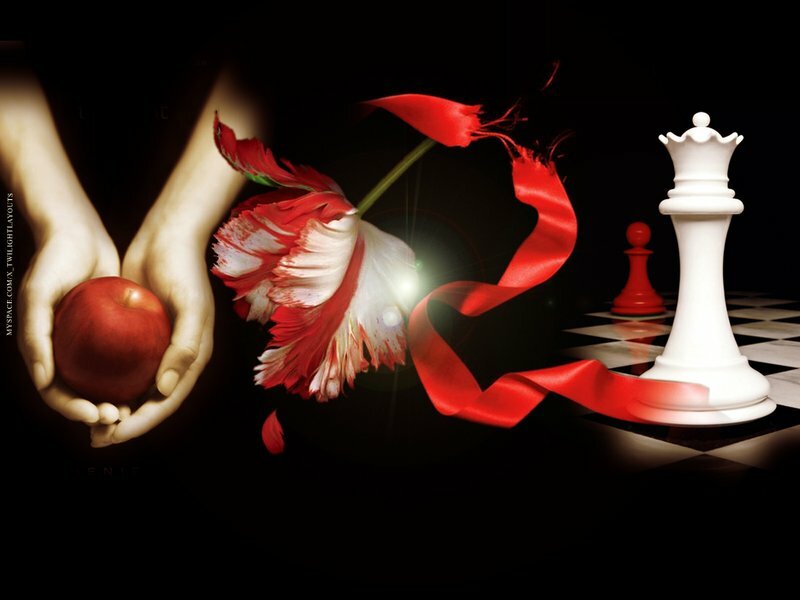 Ana Mardoll's Ramblings: Twilight: Announcing Twilight Saturdays! I've been following the "Left Behind" commentary by Fred Clark (aka slacktivist) for years now, and I have to confess that I think it's just about the finest thing on the Internets. I love the slow, deliberate pace through a truly dreadful series that I myself couldn't manage to slog through in my youth; I adore the insightful commentary on the many problems - both of the literary and philosophical varieties - inherent in the series; and I'll admit that I greatly appreciate the incredible talent and delicious snark in Clark's careful, methodical deconstruction of a series that almost assuredly deserves a serious, dedicated critic. And it's important, I think, to underscore just how valuable critical commentary is for cultural phenomena. Every piece of literature is a product - one way or another - of society, and every piece of popular literature helps to shape and guide society. It's important to be willing to look over these pieces with a critical eye, in order to point out the inevitable flaws (neither art nor artist can be perfect) so that those flaws are not what shapes society; by identifying the flaws, it's possible for the reader to be aware of them, and choose to enjoy the art regardless without being led down that flawed path. I've been looking for awhile now for an online critical commentary on the "Twilight" series. There's been a lot of humorous online commentary, most notably the amusing "Mark Reads Twilight" that manages to combine witty critical commentary, insightful user comments, and much needed pic-spam to point out some of the more glaring literary and philosophical flaws in the series. I was sad to note, however, that all the online "Twilight" commentaries that I can find online are either chapter-based or book-based, which means that a great deal of interesting commentary has to fall through the cracks due to the usual size constraints of a typical blog post. Contrast this pace with the slactivist "Left Behind" blog, which has been known to dedicate months to a single chapter, just because so many issues are available to be unpacked. It's possible that you're wondering why I've been looking for an online "Twilight" commentary, and it's a fair question. It's a huge cultural phenomena, there's no doubt - the books, movies, and merchandise have been everywhere, and even now it's hard to see the end in sight. Possibly, the franchise will peter out when the movie series ends, but with author Stephenie Meyer churning out new novellas of ancillary characters, she may yet ride this particular gravy train for years. However, unlike, say, "Left Behind", there's not a huge demographic claiming "Twilight" as their manual for living - indeed, most of the day-to-day "Twilight" fans I meet don't take the series particularly seriously, and are astonished at any assumption that merely by being "Twilight" fans, they must somehow subscribe to an "Edward and Bella" template for marriages and relationships. It's just fun, escapist fluff to them... and many of them would probably prefer that "Twilight" critics stop taking everything so SERIOUSLY. Yet I think it is important to be willing to step back, look at a popular fluffy series, and make it Serious Business for a little while - say, once a week - in order to deconstruct some of the potentially troublesome themes within said popular fluffy series. And - dare I admit it - the act of deconstructing popular series can be fun, not in the "hater" sense of tearing down someone's work, but in the "English major" sense of picking apart the Gordian knots implicit in the concepts of authorial intent, character motivation, and all the other places we look for hidden meaning in literature. So given that I feel the guilt of having read online commentaries for years without ever contributing in return, and also that I have a strong "well, someone should do it, might as well be me" attitude, I'd like to announce my intention to deconstruct the "Twilight" series, one tiny piece at a time, as part of my personal blog. I know that I don't have the incredible insight of Fred Clark, nor the humorous wit of Mark-I-Can't-Find-His-Last-Name-Google-Has-Failed-Me, but, hey, I'm willing to give it my all. Before we start, let's lay some ground rules for me to refer back to as we go through the series. 1. My deconstruction will be based on the Twilight Saga Complete Collection. I bought this complete collection for my Nook so that I could take notes electronically and search the text as needed. Since the collection has a publishing date of 2010, and comes out in the wake of the success of the "Twilight" movie, I suspect that at least some minor editing has been done since the initial publish date of the first "Twilight" book; possibly, some retconning has been done within the text as well. I'm at peace with this: I'm happy to deconstruct "Twilight" at its best. If something appears differently in my version than in a version that you have at home, please speak up and let me know if you like, but I'm not going to lose sleep over it. 2. My deconstruction will be "forward-oriented" rather than in "hindsight". The complete collection that I purchased for this blog exercise is 1597 pages long. You'll notice that's a lot of pages. Although I've seen the movies and read enough commentaries to happily spoil all the spoilers in advance (I'm a Spoiler Hound, by the way), I haven't read the books yet. In order to write this blog, I'll read the "current" book - starting with "Twilight" - from start to finish, and take notes as I go. I'll then go back through the book and blog my way through the book. This means that series revelations, character development, plot points, and so forth will be dealt with on a book-by-book basis. As the series develops and the blog continues into the later books, I will most likely refer to previous books (as in, "this contradicts what so-and-so said in 'New Moon', because...") but rarely will I refer to future books. This is intended to avoid blatant retconning - if I find something objectionable about, for instance, Edward's behavior in "Twilight", I don't want to hear that it all got retconned away three books later because I don't care - at that point, the damage (as I see it) has been done. 3. My deconstruction will reflect my own personal biases. I've already said that writing reflects the author and her environment; I am not immune to that. Just as Fred Clark critiques "Left Behind" from a liberal Christian point of view, focusing on the religious issues in the series, I will be deconstructing the "Twilight" series from a liberal feminist point of view and will focus especially on the issues of relationships, sexuality, and control in the series. If you don't like that and don't agree with my posts, you're welcome to respectfully disagree, but if you can't do that - well, hey, there's a whole big Internet right outside my blog, and I won't be hurt if you have to leave. 4. My deconstruction will attempt to treat Stephenie Meyer - and her religion - respectfully. I think it's pretty much impossible to not criticize and critique the writing and religion found within the pages of "Twilight", but my overall intent with this blog is to be respectful, not hateful. However, it's important to note that I am not a practitioner of the Mormon religion, and there are many tenants within the church (both formally and informally) that I strongly disagree with. I think there's a difference between saying "Stephenie Meyer has a horrible worldview, and is thus a horrible person," and "Stephenie Meyer seems to believe this particular worldview, and I think it's horrible for the following reasons." This first is an attack on a person and the second is an attack on a worldview that I perceive another person may be holding. 5. My deconstruction will use quotes from the source material for purposes of criticism, and therefore fall within the "Fair Use" exception to U.S. copyright laws. More information on U.S. copyright laws here and here. Seriously, don't be "that person" who comes onto a blog and immediately starts whining that literary criticism is a copyright violation just because you don't like your favorite series being critiqued. Twilight blog posts will go up on Saturday, unless Real Life intervenes. Regular commentary followers know the drill here. We'll start with Saturdays and see how it goes; it may turn out that Sundays will work better for me, we'll see. I hope everyone enjoys this exercise; I think that I will! I just found this through what I guess might be called the "Slacktiverse bump." I am so looking forward to reading the as-yet small archive and subsequent Twilight Saturdays! That would be Mark Oshiro, though I'm aware this comment is very belated. I remember you from Slacktivist. Have you been here before? If not, welcome here. Either way, how have you been? Nope, not been here before now. Revisited Slacktivist, was very confused by the changes, and wandered over here to take a look. I've been... well, it will summarise it to say I'm getting by, in the interest of not tossing out some Bella-esque litany of complaints or whining about things I can't fix. Revisited Slacktivist, was very confused by the changes, and wandered over here to take a look. Yeah, I couldn't remember if you had been there since the split. I'm guessing not. In the thread where you reintroduced yourself over there there's actually a discussion about whether it's confusing and how it could be made less so, perhaps you could contribute to that discussion. Anyway, glad you're here and I hope to see more of you in the future. That's... good that you're getting by, bad that there's room for a a litany of complaints and stuff you can't fix. I hope your situation improves so that in the future you can say something better than "Getting by," when asked how you have been. Thanks. Though the change to Slacktivist was disconcerting, at least I do still have online communities to frequent or to try to get back into. Maybe that'll go back to being one of them.